Ever since I can remember I have seem to be one of "those" people that it is always debatable as to whether or not I am a hypochondriac or not. I am ALWAYS sick! I have the worst immune system in the world. I seem to have something wrong that correlates with each letter in the alphabet! I've also seemed to pass those immune issues on to my children (which in a way is a relief since it means I'm not making them up)! One of those "issues" has always been Asthma and honestly anything to do with the air quality around me! When I was younger, my asthma was mostly exercise induced but as I've gotten older, it's only gotten worse. I especially had a hard time when I moved down south to Georgia. The pollen made it impossible for me to breathe! When Kevin and I first got married, he also complained of the frequent issues Alana would experience particularly with bloody noses due to the lack of moisture in her room. They had a humidifier for her but it was one of those gawd awful old one's that had been handed down to him. I knew it was not going to work in general let alone for much longer once the boys came along - promise! Once we moved back up to Michigan, the pollen issues obviously lessened but still I seem to have passed down those terrible allergies and sinus problems. There is always someone in my household who seems to be sick especially this winter (2014). We have had more snow recorded here in Michigan this winter than ever in history. So when Crane USA first agreed to work with me, I was thrilled to give a quality company a try! "Crane USA was founded in 2005 on the belief that design is an attitude and the home is a personal expression of an individual's lifestyle. We also realize that more than ever before people are looking to improve their health and their home environment. Crane is a company that recognizes these health concerns and people’s individual lifestyles." I think this is great (if of course the products serve a purpose). Who wants to sport a boring and unappealing air purifier, humidifier, night light, heater and more around their home? Not me! I want every gadget in my home to fit my unique personality and style. This includes all aspects of my home and family! 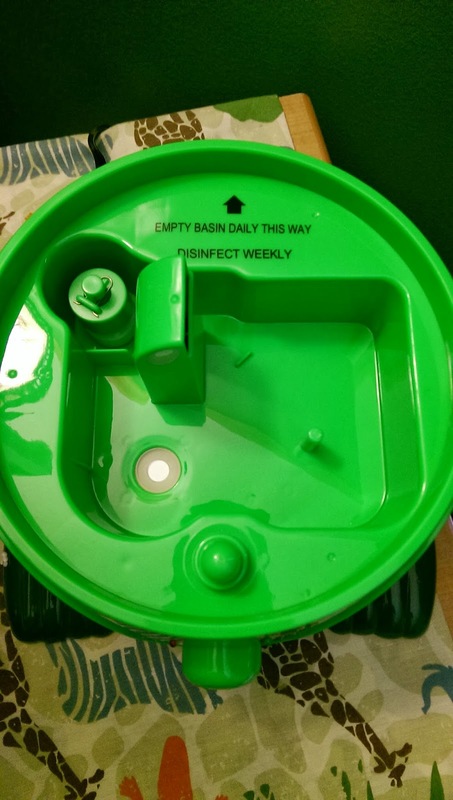 Crane USA sent me over their "Mean Green Moisture Machine" aka the Gator Cool Mist Humidifier to help my family out with all their health problems. This guy is a special Walmart exclusive but their are tons of these adorable character humidifiers which you can pick to fit any decor! Plus if you are looking for something a little less child-like then you can choose from the Drop designs Crane has available. It covers large rooms up to 250 square feet. He is extremely quiet and powerful, running for up to 24 hours. This green meanie is even low in power consumption using "less energy than a standard household light bulb" and requires no filter (like the old one Kevin had)! Nothing can compare to this black beauty." "Misting up to 2.1 gallons of moisture per day", we have actually been using this in Alana's room the past two weeks. Originally we had planned on it for the boys who are always sick but ever since we got Alana her Bearded Dragons for Christmas, her room has been ridiculously dry. The lizards require heat lamps constantly which have dried out her room so much she was back to having several bloody noses a day. After only ONE day using the Crane humidifier in her room, the bloody noses stopped. She has this running each night as she sleeps and hasn't had one happen in over two weeks now! Recommendation: This IS AWESOME! When you look at the cost of other humidifiers, this one's cost and results don't compare! I was very satisfied with all aspects of this one, so much that we are even going to be getting another solely for Alana's room! I cannot wait to work with such an awesome company again! Giveaway: Crane USA is going to give one of A Lucky Ladybug's lucky readers a *Humidifier of their own to try! *Must be any Adorable or Drop Humidifier of your choosing, with the exception of the 4 Retailer-Exclusive Drops AND (unfortunately) the Gator Walmart Exclusive because they are directly shipped to the retailer. Lots of great choices, but I'd pick the GREEN DROP COOL MIST HUMIDIFIER. I would love the White Drop Cool Mist Humidifier. i'd like the tickle your fancy one. my dd's room needs one in a bad way! I love the "pure style" drop humidifier. Thanks for a great giveaway! I would love the elephant. I like the blue drop best! I like that your blog is always positive as I learn to be green too. Those drops are so sleek, I'd pick the Pure Style color. I like the panda one. I would choose the Daphnie The Duck humidifier. Thanks for the giveaway! I like the "DAPHNIE THE DUCK" COOL MIST HUMIDIFIER. I like your blog. Maybe less entry options in the giveaways, so that everyone (non-bloggers for example) have an equal chance. Thanks! 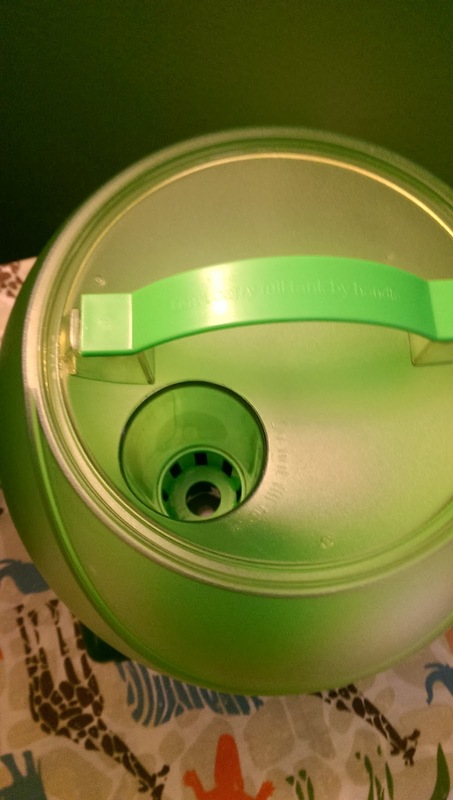 I would love the green drop cool mist humidifier! id choose any of the drop ones. How cute is the monkey!? I definitely have to have the Hello Kitty. Love it! I don't know if I'm posting this in the right place, but you said to post on this blog, so I am. I don't see anyone posting the answer to your question here though, well here goes. I think your blog is one of the best blogs around. 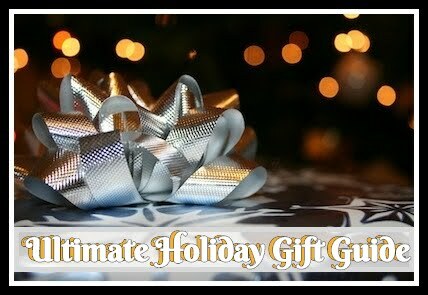 You have awesome giveaways and a lot of them too. I like the panda humidifier. By the way, I am also a Michigan native, but currently living in GA, and you're right, the allergy issue is HORRID! I don't have problems in Michigan with allergies like I do in GA! The elephant is the best! I'd like to get the Daphnie The Duck" Cool Mist Humidifier. I would choose the green drop! I think the CRANE TRAIN COOL MIST HUMIDIFIER is definitely number one. I would love the dog one! It is just too cute! I would choose the Blue Drop Cool Mist Humidifier. I really like the 'Curtis the Cow' Cool Mist Humidifier. 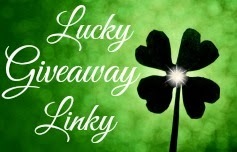 Thank you for another super giveaway opportunity. Please keep up the terrific blogging. So adorable! Id pick the red dragon or the elephant. I love the elephant! He is so cute! I would love Elliot the Elephant. I like the Orange Drop Cool Mist Humidifier. We could use one upstairs. I love the hippo or penguin! I would get the A bit of blue to beat the grey one. I'd choose the Drop Humidifier: Pure Style. Although the Dress to Impress from Head to Tails is too cute! I'd pick the Pure Style Drop Humidifier. Although the Dress to Impress from Head to Tails is too cute! I would choose the All Aboard train for my train lovers room! The frog and the owl are super cute! I like the "Splash of color, Naturally", green drop. i like the pink drop! I would choice the "Cocoa The Dog" Cool Mist Humidifier. I like the Green Drop. I would choose the All Aboard Train. I would choose the adorable Oscar the Owl Cool Mist Humidifier if I won. 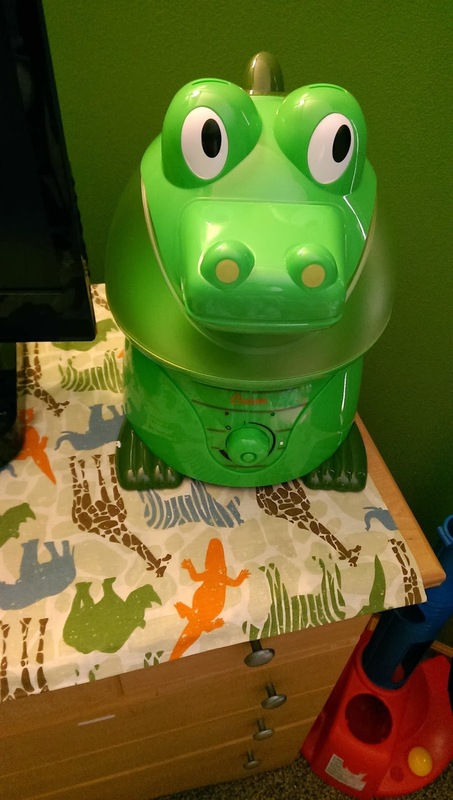 I'd like the "Freddy The Frog" Cool Mist Humidifier for my son's room. 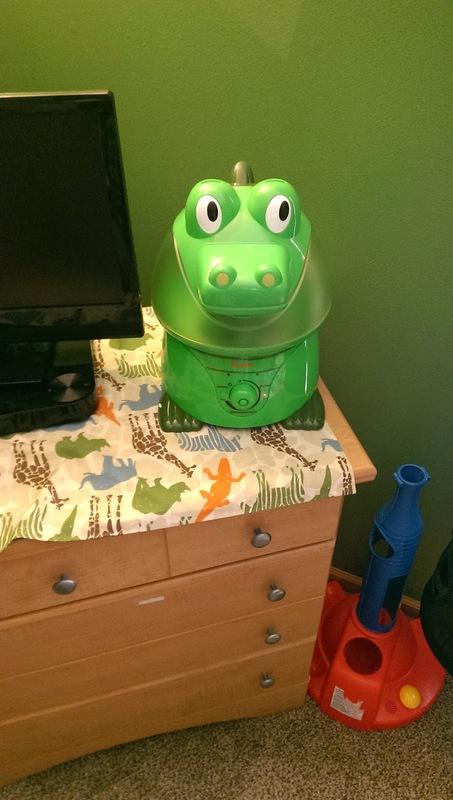 I would choose the Crane Train Cool Mist Humidifier for my grandson's room. I would like the panda. I Like The White Drop Cool Mist Humidifier. I would choose the HELLO KITTY COOL MIST HUMIDIFIER. Hmmm, I love the characters but also love that orange drop! Hard decision but I'd have to say the Orange drop humidifier. I would pick the Pure Style Drop humidifier. I would choose the Polar Bear. I love the crane train cool mist humidifier. i would choose the monkey or the pig..they are cute and be great for the kids rooms! I like the "Puffington The Penguin" Cool Mist Humidifier. I'll pick RANE TRAIN COOL MIST HUMIDIFIER if I win. I like the "pure style" drop humidifier. I like the Frog Prince at Your Service one the best! would love to have any of them if not available. I love the hello kitty. I think I would have to say Oscar the Owl is the one for me. I would choose the Hello Kitty Humidifier. This my Grandson needs badly in his room as the whole area of Central Texas is nothing but pollen. I love your growing into green section. 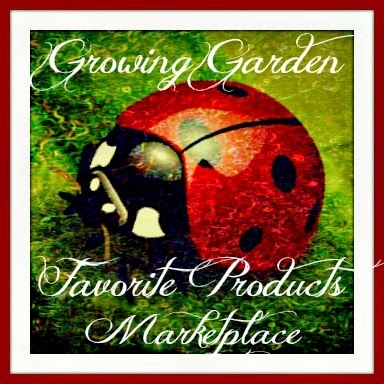 It always has great ideas for everything from inside the home to outside the home like gardening which I absolutely love . Wow these were all amazing and fun and colorful to look at so it was def a tough choice. I would love to have the orange drop cool mist humidifier! I would choose the Hello, comfort. I love that it's cute and girly, not just a plain boring box. I would pick the frog if I won! I really like the owl. I would select the Blue Drop Cool Mist Humidifier. if i won, i would get the penguin. I would choose the Hello Kitty humidifer. I like the frog I would choose him. I'd choose Curtis the Cow. I like the white drop cool mist humidifier the best for us! Thanks so much for introducing me to the product! I would love the refreshing and bright drop humidifier.So pretty. They have lots of cute ones. I think I would choose the "Puffington The Penguin" one. Thanks for having this contest. I like the Just Plain Playful purple humidifier! "Puffington The Penguin" Cool Mist Humidifier.